Once you have created your survey and are ready to begin collecting responses, you may have in mind a list of people to whom you wish to send invitations, or you may wish to publish a link to your survey on your own website. This guide is for survey authors who would like to distribute invitations by email. 1. The simplest option is to simply send the emails yourself after copying in the web links available from the relevant response group settings page. You can use your own email client for this, and your own contact lists. The only limitation is that you cannot track responses for individuals you have invited unless you ask them their name as a survey question. 2. Use Surveyi Contact Lists, Tracker Response Groups and the Invitation Designer to create and automatically track your invitations. Surveyi can automatically create individual emails for each invitee using your Surveyi contact list information and include the name of the invitee, and a unique link for them to access your survey. This process sends individual emails to each invitee and each will not know the email addresses of the others, as happens with multiple addresses in the ‘to’ field of an email. · You cannot track the responses of each individual unless you ask them their name in the survey. Either way, the information can be falsified and is more difficult to track. 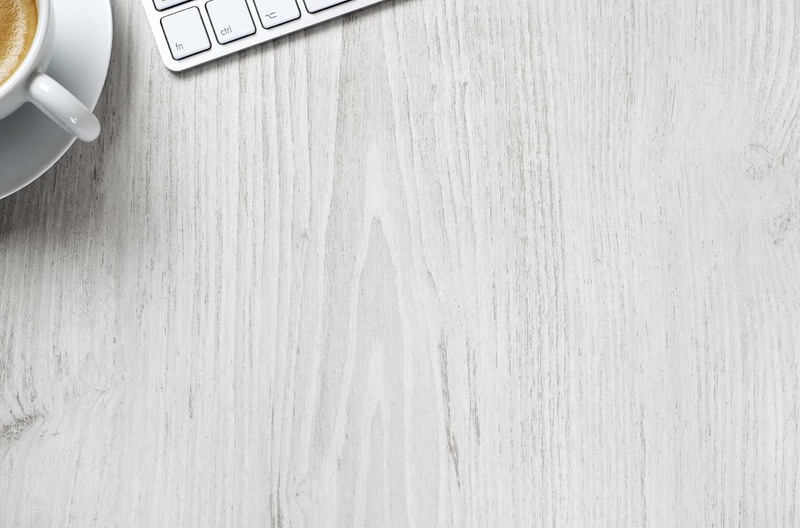 · You will need to compose individual emails which is time consuming, or you could place all contacts in the ‘to’ field of the email which means that your invitees email addresses will not remain private. If you want responses to remain anonymous and you don’t mind sending emails to multiple recipients then this is probably the best approach for email distribution. 3. Click the Launch button at the bottom of the Launch page. 7. You can then send your invitation email to your invitees using your email program such as Outlook, or Gmail. All invitee email addresses remain private because each email is individually composed and not included in a large ‘to’ field. · This is by far the quickest way to send large numbers of invitations. · All responses are automatically tied in to the invitations you send, allowing you a full range of querying and filtering options (if your account type has those options enabled). · You can easily see who has yet to respond using the invitation management page, and then issue reminders. This tutorial will show you how to create contact lists, create tracker response groups, design invitations, construct invitation lists and finally send the invitations. 1. Once your survey is complete and everything is ready to send, you must first create a contact list. To do so, click Contacts from your My Survey user home page. 2. On the Contact List page click the Add Contact List button. 3. Enter a name for your contact list in the Contact List Name text box. 4. Click Add a Single Contact to load the New Contact page and enter the details for the contact. Be sure to get the email address correct, because it will be used to send invitations to. 5. Repeat step 4 for each contact you would like to enter. If you have a spreadsheet containing all of the contacts you would like to enter, you can enter a large number of contacts quickly by saving that spreadsheet as a CSV file and pasting it into the textbox towards the bottom of the page. 1. 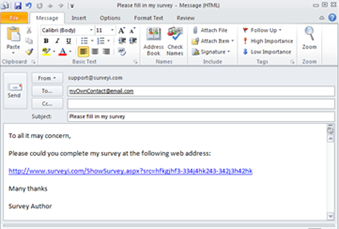 On your My Survey user homepage, click the Edit button for the survey for which you would like to distribute emails. 2. Complete your survey design, launch your survey and then click the Distribute button to begin the process of setting up a Tracker Response Group. 3. Click on the Add Group button to launch the New Response Group page. 4. Type a name for your response group which is for your reference only. 5. Click the Enabled button to switch on the response group giving access to your survey. 6. Set the type of the response group to be a Tracker Group which has options for generating email invitations. 7. Adjust the remaining page settings to suit your preferences and click Save at the bottom of the page. You will then be automatically directed to the Response Group Options page where you can begin designing your invitations. 1. If you are not already at the Tracker Group Settings Page, navigate to it by clicking on Edit Survey, Access, and then click Edit for the tracker response group for which you would like to design the invitation. 2. Click the 1 - Design Invitation or 2 – Design Reminder buttons to load the invitation or reminder design pages. 3. If you have any Mail Templates you can apply them to your email design here by clicking on the Apply button for your chosen mail template. 4. If you have a Free Surveyi package you can create plain text emails. With a Basic package or above you can create more graphically rich HTML emails which can contain images, hyperlinks, and extra formatting. You can also create MIME emails which are both plain text and HTML and allow the recipient to decide the format of the email. 5. Choose the Display From field for the email which will describe you (the sender) in the invitee’s email. This is always suffixed with (No reply) so that invitees do not respond to survey invitations. The actual From address will be a Surveyi email address rather than your own so that we can track which emails were undeliverable. 6. Enter a Title for your email. 7. Enter the text from your email. Make sure you copy in all of the required tags from the list above. When the emails are sent, the tags are replaced with the corresponding information from each contact in the invite list. If you would like to preview the email, click Update Preview at the bottom of the page. 8. Send a test email to see how it will look in your own email account. Click the Sent Test button to send a simulated email to your registered email address. 9. Click the Save button to save the email in its current state. You can repeat all of the above steps for Reminder messages too. Once you have contact lists defined and you have designed your survey invitations, you then need create a list of contacts to which you would like to send survey invitations. 2. Click on the Invitee List button. 3. If you created a contact list as part of the previous step, it will appear in the list. Tick each contact list for which you would like to send invitations. If one contact exists for two different contact lists which are selected, they will only appear once in the final invitation list. 4. When you have made your selections click the Generate Invites button to generate the invitation list. Note that invitations will not be generated for contacts who have previously opted out of Surveyi emails. Invitations will not be generated where previous invitations have been deleted and are in the recycle bin. 5. Click the View Invitations button to see the list of invitations generated along with the status of each invitation. Note that you can also view your invitation list from the Response Group Options page by clicking the Send Invitations icon (which shows the invitation tracker). 1. Review your invitations. You can delete invitations by clicking the delete button to the right of each invitation in the list. 2. When you are happy with your invitation list and are ready to send your invitations, choose the send mode. · All invitees in the response group - Send to every invitation in your invite list for this response group. · Only invitees in the above result set – Advanced Surveyi accounts have the facility to filter your invitation list so you can send invitations or reminders only to those who match your criteria, such as those who have not yet answered the survey. · Only selected invitees above – This option sends to only invitees ticked in the invitations list using the tick box to the left of the invitation. 3. If you would like to export a CSV file (viewable in Excel) click Projected Invitation Report. This report contains full invitation details and only contains invitations to be included when sending. 4. When you are ready to send your invitations click the Send Invitations or the Send Reminders button. As your invitations are sending, a progress bar appears showing the real time progress of the send operation. When your sending is complete, you can also view the progress of each invitation using this page.